More tabs added to Work Health & Safety module. For many organisations, Safe Work Method Statements (SWMSs) are a safety control measure that provide vital information to assist workers to undertake work tasks safely. They enable all people involved with specific, high risk work to have a full understanding of the risks involved with undertaking that work and to implement the risk controls outlined in the SWMS. By observing the safe work requirements in SWMSs, workers can minimise work health and safety (WHS) risks, prevent injuries and improve workplace safety. For many occupations, it’s also a legislative requirement that a written SWMS is produced for work that’s determined to be high risk under the relevant WHS Act. 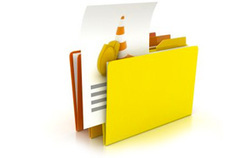 If you need to prepare and manage Safe Work Method Statements in your business, the new SWMS tab in the WHS module compliment the SWMS template in enableHR and gives you a centralised location in which to upload and store related documents that you or your managers can then access with ease, whenever you need them. Likewise, if you use and manage Safety Data Sheets (SDS), the new SDS tab in the WHS module gives you a central folder to upload and store these documents, and helps you manage risk reduction. Safety Data Sheets provide information on the properties of hazardous chemicals and how they affect health and safety in the workplace and are used in many businesses and should always be referred to when assessing risks in that workplace. Storing these documents in one central location means they will always be easily accessible, whenever and wherever you need them. A further two additional tabs have been added to the Policies and Procedures area. The Standard Operating Procedures (SOPs) and WHS Meetings tabs give you a centralised area to record this important information.